I came across something on Twitter the other day that basically boiled down to 'slow down to recognize all of the wonderful things you already have around you.' Always a good reminder. As an aside, my infant is teething. I've been up every hour for two nights and have reached a new level of exhaustion. Or delirium. Or new normal - I'm not sure. It's hard to notice the wonderful things around you, let alone celebrate them when you're in these kinds of trenches but today I was spending the morning with my son and at some point realized that I was giggling! Loved.That. My son is regularly this smiley; it makes him a delightful companion. And when it comes to cooking, he scoops and measures with gusto; he pours in cinnamon like there's a present at the bottom of the container; he acts like he's the luckiest guy on earth when he gets to sample the goods along the way. And the best part? He'll often jump off of his "helper chair" in the kitchen and run into the playroom to get a prop and pretend to be the Entertainment Committee, playing his guitar, belting out a song at the top of his lungs. Lately, he's all about being in the kitchen with Dinah, strummin' on the old banjo. And there we were, singing it loud and proud - working on the railroad, fee-fi-fiddly-eye-oh-ing. I felt happy deep in my cells. Pretty much everything that I bake, I bake with him. It's all toddler-friendly measuring-pouring-scooping stuff around here. If there are any more complicated steps, I can get those done while he's in the midst of his musical interlude. Anyway, so today he wanted to bake muffins and use our Dora the Explorer cupcake liners. 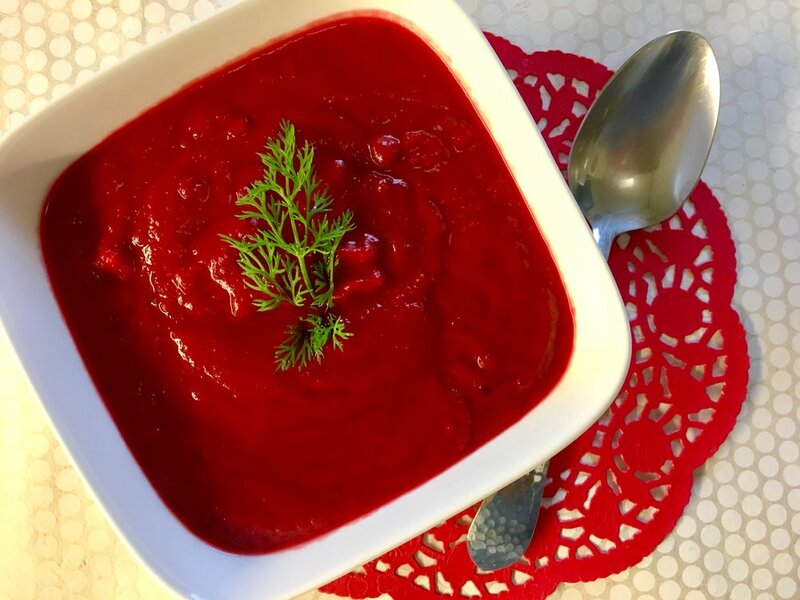 We devised this recipe together, tossing in some beet and apple for color and sweetness. Once cooled, he gobbled one down and declared it "dah-lisheey-ohso!" Preheat oven to 350. Line a muffin pan with liners (this recipe makes 12). In a bowl, mix together all of the dry goods. Add grated veggies and fruit and mix well to combine. In a separate bowl, mix the eggs, oat milk, oils and vanilla. The coconut oil may be clumpy so using a whisk is probably best. Combine dry ingredients with wet ingredients. Scoop into muffin tins and bake for approximately 20 minutes. Let cool for 5-10 minutes and enjoy.